Talking to Two Point Studios’ three co-founders, it feels like there are two ghosts watching us during the entire conversation. Not scary ghosts, no. Two benevolent ghosts with a reassuring, proud smile on their faces. Their names are Lionhead and Bullfrog. 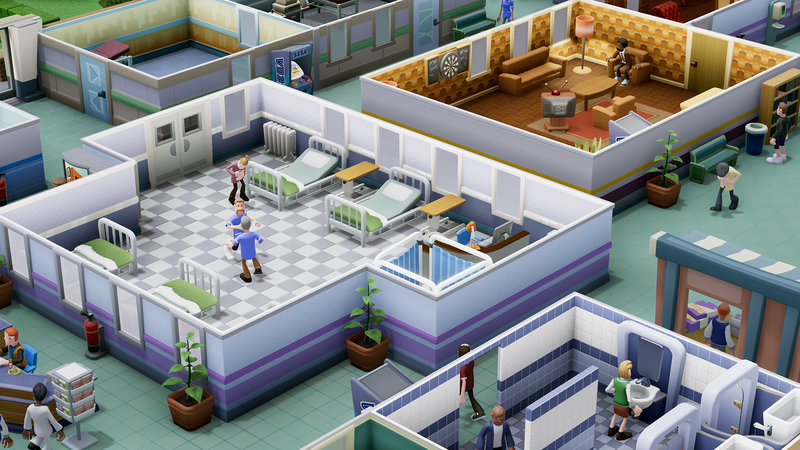 Because the story of how Two Point Hospital was made is also a story about how Theme Hospital was made by Bullfrog Productions 22 years ago and a story that’s deeply intertwined with Lionhead’s closure in 2016. Peter Molyneux founded Bullfrog in 1987 – he was joined by Gary Carr in 1989 and by Mark Webley in 1992. Both Carr and Webley worked on Theme Hospital as project leaders, with the game meeting huge success. In 1997 Webley left Bullfrog and co-founded Lionhead with Molyneux. Carr ended up joining them in 2003. Fast forward to December 2014 and Ben Hymers enters the game – having worked at Rare and Creative Assembly, he joined Lionhead as creative engineer. That final move set events in motion for the three of them – Gary Carr, Ben Hymers, Mark Webley – to create Two Point Studios. By that point, Lionhead had been acquired by Microsoft. 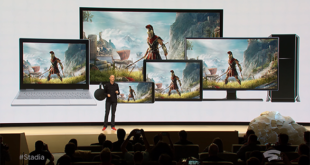 Gary Carr takes over: “We tried to hit it off with Microsoft but Fable Legends was just so all consuming and it was really difficult to convince Microsoft at the time to make them think about other things Lionhead used to be good at doing. “My incubation team just wasn’t looking likely to get a project into production. [Fable Legends] was taking up a lot of the resources and it was looking less and less likely to happen. So I was out of the door pretty much and then Ben…” He turns to Hymers before continuing: “You weren’t happy, you went to do incubation and you thought you were going to be out of the door.” Hymers smiles and nods. 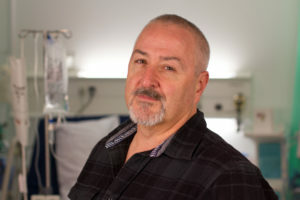 Carr and Hymers started prototyping ideas – that’s when Carr decided to talk to Webley about it all, who continues the story: “Gary and Ben’s idea was: it’s 20-odds years since Theme Hospital, there are still people who love that game and it would be cool to bring it up to date as a kick-off for a studio. 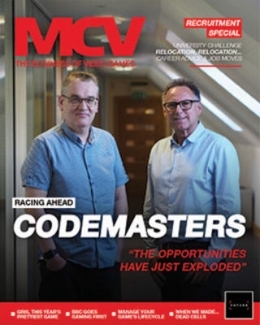 “There was always a clear vision of these little sim games that we wanted to make, harking back to the culture of Bullfrog which was a lot of small teams, a lot of easy communication. We didn’t have a designer back then, because we designed the game, and we didn’t have producers because they hadn’t been invented yet,” Webley laughs. Carr, Hymers and Webley meanwhile were lucky enough to have left the studio before its sad fate started to unravel and were already going full steam ahead with their project of launching a new studio. “At this point, a lot of people were doing crowdfunding, Kickstarters and that was a new world, at least certainly to me and Mark,” Carr says. 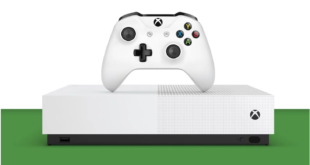 The three associates started discussing it with other industry figures – Gavin Price at Playtonic, who had just successfully crowdfunded Yooka-Laylee, and Team17 boss Debbie Bestwick for instance. They suggested that the golden age of crowdfunding was maybe already over. Enter Sega, just as Carr, Hymers and Webley were now looking for a publisher for their Theme Hospital spiritual successor. 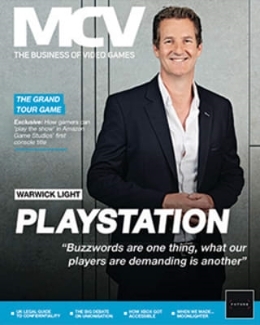 Webley continues: “We went in, we did our presentation and Dean Trotman [then commercial director at Sega] said: ‘You won’t believe this, a week ago we had a meeting where we said: wouldn’t it be great to have a game like Theme Park in our books?’,” he laughs before adding that they “got lucky” really. And that’s how Two Point Studios was born. 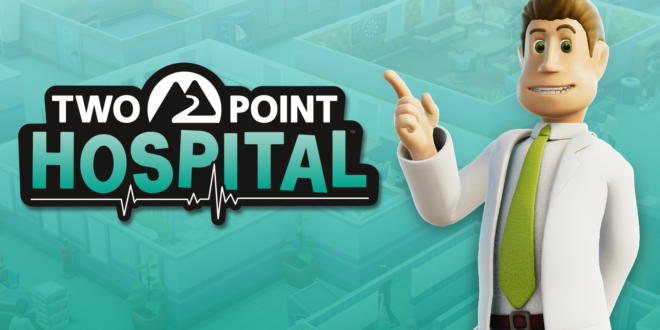 For what was going to be Two Point Hospital – which ultimately launched in August 2018 – a lot of the development process was fed by very informed decisions. Two of the three founders had two decades of experience after all and a lot of Theme Hospital translates over to Two Point Hospital. And, by the way, if you’re wondering why it’s not called Theme Hospital 2, it’s because EA owns that license. “It was very Bullfrog, the idea of having humour in the game, breadth and depth. And certainly a lot of the latter Bullfrog games were very accessible,” Webley says. 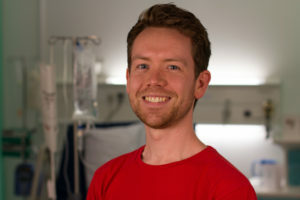 “I think taking a subject matter like running a hospital, which is a stupid idea, and turning it into something which was good fun to play, which had a longevity to it – we learnt a lot from that,” he smiles. Ben Hymers could bring another very valuable opinion to the table: his experience of Theme Hospital as a player. 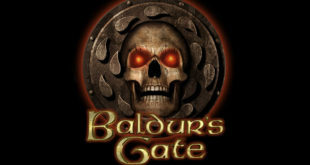 Mark Webley and Two Point Studios’ designer Ben Huskins (who worked at Lionhead from the first to the last day of the studio) also came up with the trait system to push that attention to detail further, trying to make the experience unique with every gameplay session. “If certain personalities meet other personalities they may react completely uniquely,” Carr explains. “So somebody who’s flirtatious may have a completely different reaction to someone who is shy or grumpy. So you can play [Two Point Hospital] for hours and hours and suddenly see a completely unique scene because you’ve never had that situation. 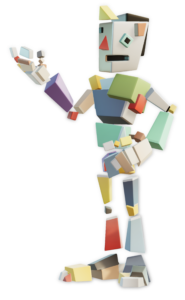 The idea has been implemented by the code team into something that makes it feel alive and unique so I’m really proud of that. What was crucial to the entire team was that Two Point Hospital felt innovative and not dated. 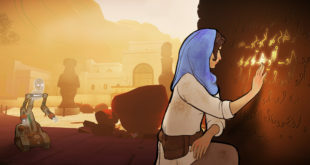 “The game feels, to me, quite fresh and of course it has a nostalgic element to it, we’d be lying if we didn’t recognise that, but it does still feel fresh, it feels like it’s a nice face to go back to,” Carr says. 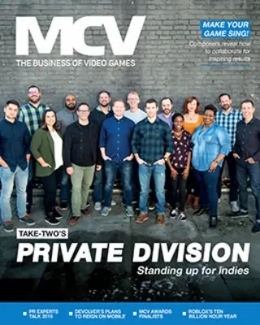 Two Point Studios comprises about 15 people – about half of them are industry veterans while the other half is new blood. Webley explains that this new blood was instrumental in making Two Point Hospital feel original. That leads us to talk about the UI in more details as this is obviously a crucial element of any sim game. Webley immediately says in a laugh they probably “underestimated just how much work the UI was going to be,” focusing first on getting a playable version of the game out of the door as soon as possible. And the studio is certainly not going to stop there as the game has had great success since launch. “The big picture for the studio is Two Point County. So we’re building this bigger idea of different subject sims that coexist within a world. But right now we’re enjoying just working on this game because it still feels like we’ve only started it five minutes ago,” Carr laughs. 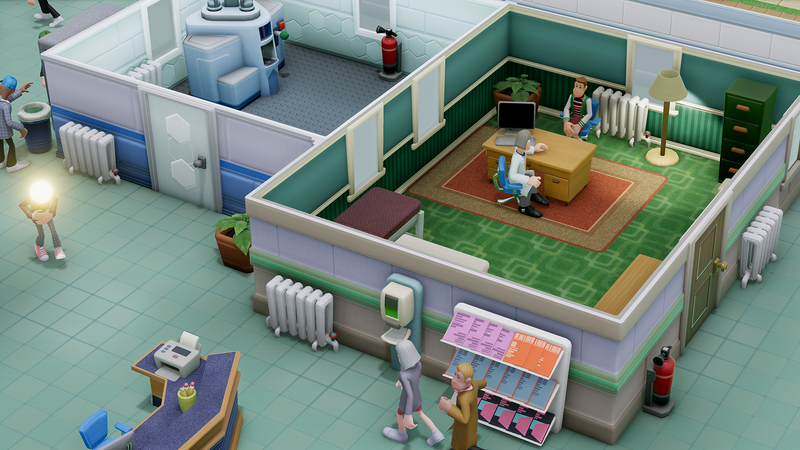 Finally, there’s another reason to keep working on Two Point Hospital – and that one is much more personal. 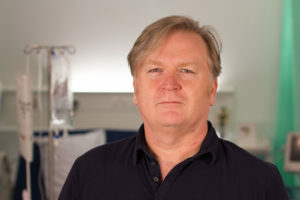 “We were happiest making [Theme Hospital] – even Ben would talk so fondly about playing the game at the other end of the experience,” Carr says. “We just liked to recreate the fun of being in the industry because as gaming studios get bigger, you get promoted into very boring jobs. “Mark and I became director-type people. Mark was the founder of Lionhead but I was on the leadership team so we were just spending all our time making performance reviews and making sure we’re not spending too much money – all these kinds of crappy jobs that you do when you get promoted out of the fun stuff. So it was important to try and reinvent a bit of the highlight of our careers and I think we’ve done a reasonably good job at recreating our heyday.